15th April marked the anniversary of the birth of a very special woman, and yet one who is little known about. A woman who was kind, intelligent and loving, but one whose days were all too short – Maria, mother of the Brontës. Maria Brontë died young, and yet she displayed quantities of loyalty, creativity, and love of family that would be replicated by her daughters, and through her very absence she played a pivotal part in the Brontë story. Maria Branwell was born in Penzance, Cornwall in 1783. 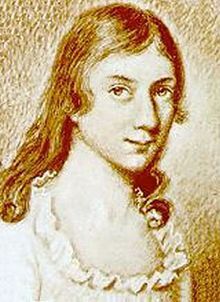 Her father Thomas Branwell was a wealthy merchant and a leading figure in political and religious circles in the area. As so often in the Brontë story however, tragedy was to strike. Her mother and father died within four years of each other, along with two of her siblings. In 1812, without an inheritance of her own, Maria travelled to Yorkshire to work as an assistant in a school that had been opened by her Aunt Jane and Uncle John Fennel. The school was in Rawdon, and John Fennel had recently recruited a new classics examiner for the schoolchildren. It was a friend of his from his days in Shropshire who had also moved to Yorkshire. He was an Irish clergyman by the name of Patrick Brontë, and when he and Maria first saw each other it was love at first sight. Maria’s attitude, and her own writing skills, are demonstrated by an essay that she had previously published: “The Advantages of Poverty, in Religious Concerns.” She saw Patrick’s poverty as a spiritual advantage rather than a material encumbrance. In 1814 their first child was born, a daughter they named Maria after her mother. She was quickly followed by five more children: Elizabeth, Charlotte, Patrick Branwell, Emily Jane, and Anne. Just three months after Anne’s birth, the family moved to a new parish that brought a larger income. It was a growing village on the edge of the moors known as Haworth. The Brontës looked set for a happy future, but Haworth was not to be home to Maria Brontë for long. Having six children survive childbirth was in itself unusual, but there was still a price to pay. On 29th January 1821, she walked down the parsonage staircase in obvious pain and then collapsed on the floor. A doctor was called and said that Maria would not survive the day, but she lived on in terrible pain for another eight months. Although it is commonly stated today that she had died of uterine cancer, in the 1970s Dr. Philip Rhodes, a Professor of Obstetrics and Gynaecology and one of the leading authorities in England, stated that in his opinion Maria could not have died of uterine cancer based upon the evidence we have. Instead, he hypothesised that she had died of chronic pelvic sepsis and anaemia brought on by the birth of Anne Brontë. Whatever led to her tragic and painful end, Maria Brontë had died aged just 38. This would bring dramatic change for the Brontës, and especially for Anne. 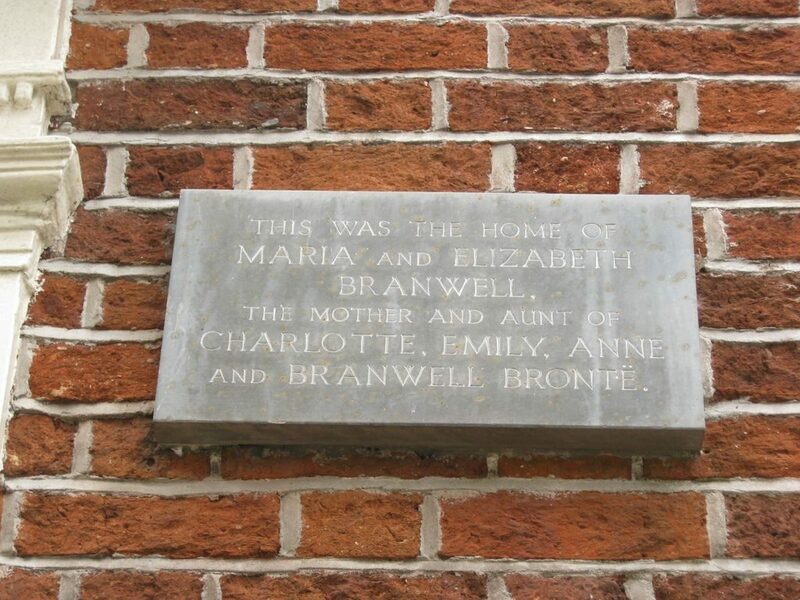 At just one year old, she would be unable to recall her mother in future years, but the mother’s role was taken by Maria’s sister Elizabeth Branwell. Aunt Branwell, as she came to be known, would move to the parsonage to look after her sister’s children. She was a strict and highly religious woman, but she had real love for Anne, the baby of the family, and they shared a room together. The loss of their mother at such a young age threw all the Brontës together as never before. From now on they would all act as a mother to each other, and would learn to be self-sufficient in their own company. It was this forced independence that provided the foundations for some of the greatest works of literature the world has ever seen. Maria Brontë, nee Branwell, is long gone, but her legacy lives on in the wonderful works her much loved daughters gave us. From time to time, an author cites the opinion of a ‘medical authority’ who opines on some medical issue suffered by the Brontës. These ‘medical authorities’; on TB for Anne, Bramwell and Emily, on hypermenses for Charlotte, opium for Bramwell and Charlotte and cause of death for Maria Brontë and their Aunt are all dated the 70ies. I think it about time for interested ‘fans’ of the Brontës to see up-to-date opinions or confirmation of the original ones. I really wish Anne had be able to see those letters. They are remarkable.